You may mistake the black metal of Suffolk’s Stahlsarg for belonging to an era predating their 2013 formation, such is the crisply produced, pared-down savagery of their second album. Traditionalists may well find this approach more appealing than the sonic experimentations of much of modern black metal, Raise The Dead’s punchy blasts and rapacious riffs setting the stage for a record that delights in visceral slashes of pace and groove, offset by atmospheric instrumental passages. The intro of Blonde Poison unveils cold blasts and baleful recriminations while the Eissturm’s hysteria-enhanced vocals give tracks like Burn And Destroy an aura of insanity. It’s a mania they would do well to fully unleash. 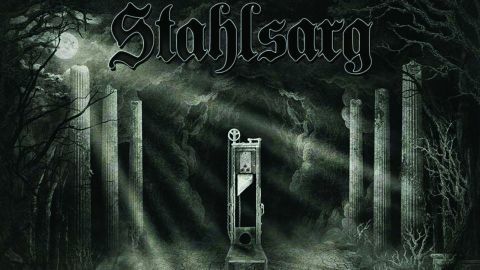 Stahlsarg show much potential but never quite cross the threshold in search of the indefinable quintessence that makes for truly great black metal.